Salesforce published Summer’16 release(Preview) notes. If You are a lightning lover like me then In this release, you can find lot’s of new features as well as new enhancements for example Associate a Contact with Multiple Accounts(Generally Available), Opportunity Teams is now available in Lightning Experience, Customize Home(Lightning Experience) , Autofill accounts Account Logo. Do you and your users want an easy, visual way to track upcoming or ongoing campaigns? Support cases? Retail store events? Opportunities due to close? In seconds, anyone can create a calendar from a standard or custom object by choosing a date field representing data they want to track. The calendar displays data in this area as calendar items. Users can customize most calendars by applying a list view, and they can edit and delete calendars they’ve created. Some considerations apply to creating calendars. This feature is available in Lightning Experience only. Now you can export reports from both Lightning Experience and Salesforce Classic. When you need to work with report data in a dedicated tool, such as a spreadsheet, export report data as a Microsoft® Excel® (.xls) or comma-separated values (.csv) file. From a list view or while viewing a report, click | Export, then choose encoding and file type. Contacts to Multiple Accounts lets your sales reps easily manage the relationships between people and businesses without creating duplicate records. This feature is available in Lightning Experience, Salesforce Classic, and all versions of the Salesforce1mobile app. While reading a report, click a report chart grouping to filter the report.Your Pipeline by Industry report gives a useful overview of your opportunities, but what if you only want to view opportunities in the telecommunications industry? In the chart legend, click Telecommunications. Or, on the chart, click the chart segment that represents the telecommunications industry. The report then filters to show only opportunity records from the telecommunications industry. Everybody makes mistakes. Worry not, mistakes are easily corrected. At least, they are in the Lightning Experience dashboard designer thanks to the undo and redo buttons. To undo an action, click . To redo an action, click . Problem solved. Customizing Lightning Experience record pages is now available to everyone! Create a record page from scratch, or make a copy of an existing record page right from the Setup menu. Give your users a customized view for each object’s records by adding, editing, or removing components to change the page’s layout. The App Page type of Lightning Page, previously available only in Salesforce1, is now supported in Lightning Experience. Give your users easy access to the objects and items that are most important in your custom app by activating it for Lightning Experience. You can now assign a filter to the data displayed in a Report Chart standard Lightning component when it displays on record pages in Lightning Experience. If you set a filter option for a Report Chart component on a record page, the component displays only that filtered data when users view the page. Your reps can improve the efficiency of sales teams by adding opportunity teams to their opportunities. Team roles show who’s who on the team, and help the team coordinate to sell more. The opportunity owner can grant opportunity team members on opportunities teams special access to records related to the opportunity. Previously, you had to switch back to Salesforce Class to enable opportunity teams or set up team roles. Now, you can access settings for opportunity teams without leaving Lightning Experience. Your sales reps can coordinate and simplify a sales team’s access to accounts by setting up an account team in Lightning Experience. Account team members have increased access to the account and its related records. Previously, account teams were only available in Salesforce Classic. This feature is available in the Salesforce Lightning Experience. Creating new accounts just got quicker than ever. When reps start typing a company in the Account Name field, we’ll offer up suggestions. Less time entering data—what’s not to love? This feature is available in Lightning Experience only. But wait, there’s more! When a rep selects a company from the list, we autofill several other fields with data, when available: Website, Phone, and Billing Address (headquarter location). The suggestions include US-based companies. Turn on autofill from the Account Settings page. While you’re at it, turn on account logos, too, so reps see company logos with the suggestions. They say a picture is worth a thousand words, but there’s just one word to describe the fact company logos are now shown on account records—awesome. This feature is available in Lightning Experience and all versions of the Salesforce1 app. From Account Settings, select the option to allow logos. Voilà! Logos show up automatically, when available, on US-based accounts. If you use Social Accounts, logos that reps added manually from social networks may be replaced with a fresher, more up-to-date logo. Bonus: If you’ve enabled account autofilll, reps see logos with the list of suggested companies. Your sales reps can add products to your opportunities more quickly with most recently used products suggestions and autofill search. Enhancements to product search will be available two weeks after release. This feature is available in the SalesforceLightning Experience. Now when sales reps select Add Product on the Products related list, they see a list of up to five products in the current price book that they’ve recently added to other opportunities. It’s a real time-saver for anyone who works frequently with the same small set of products. If the recently used products aren’t what they want, reps can enter a product name and see search results instantly. With the addition of filter logic, your reps can pinpoint the data they need while enjoying an intuitive user experience. Reps can see available filters without editing a list view, and edit filters on the fly. This feature is available in both Lightning Experience and Salesforce Classic.Filter logic in Lightning Experience works just like in Salesforce Classic. Add filter logic from the Filters panel. 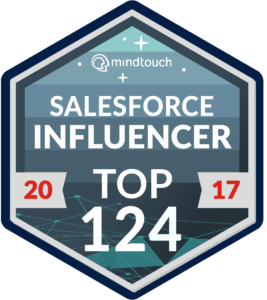 You asked for it, and salesforce delivered! Use the Lightning App Builder to create custom Home pages that appear for different profiles in your org. Display and organize useful components, and assign different pages to different types of users. You can even create and edit pages for leads, contacts, and other types of records! This feature is available in Lightning Experience only. Create and edit new Homepages from the Lightning App Builder. From Setup, enter Lightning App Builder in the Quick Find box, then select Lightning App Builder. Click New to create a Lightning Home page, or edit an existing page. You can also access the Lightning App Builder directly from the Home page. Click and select Edit Page to create a copy of the current Home page to edit. Set a new default Home page to surface the information that’s most relevant for your users. All users see the default Home page unless they have profiles that are assigned to another Home page. This feature is available in Lightning Experience only. You can set the default home page in two places. Lightning App Builder—From Setup, enter Lightning App Builder in the Quick Find box, then select Lightning App Builder. After you save a page, click Activate from the Page Saved dialog, or click Activation later. Home in Setup—From Setup, enter Home in the Quick Find box, then select Home. Click Set Default Page and select a page. Select System Default to restore the standard Home page. Streamline email correspondence by letting your sales reps send their Salesforce email through their Gmail or Office 365 accounts. Because the messages come through Gmail or Office 365, you’ll see improved deliverability and open rates. Your users can also see the emails they’ve sent to their Gmail or Office 365 Sent Items folder. This feature is available in Lightning Experience only. To enable this feature, from Setup, enter Send through External Email Services in the Quick Find box, then select Send through External Email Services. You can allow your org to send through either Gmail or Office 365; you can’t select both. Users can manage their external email configuration from My Email Settings within their personal settings. The My Email Settings page gives users the option to send through their external account, and customize the name and signature that appears on outgoing emails. Emails sent from the Lightning Experience Email Composer automatically become Email records instead of Task records. The new Email detail page displays email the way you see it in traditional applications like Microsoft® Outlook® and Gmail. This feature is available in Lightning Experience only. The detail page displays the email (1), with any custom fields you add. The page also includes related lists for sender and recipients (2), attachments (3), and the related opportunity, campaign, case, account, or person account (4). Now sales reps can log calls and update upcoming meetings and tasks faster, without leaving the activity timeline. A new menu on timeline items contains actions for updating activities. This feature is available in Lightning Experience. We’ve added a bunch of new chart types to Lightning Experience: funnel, scatter, combo, and cumulative line charts. Also, table charts now show totals in Lightning Experience dashboards (after you set them up in the Salesforce Classic component editor). Funnel charts are available in both reports and dashboards. Scatter, combo, cumulative line, and table charts are available only in dashboards. Feeds are now available on reports and dashboards in both Lightning Experience and Salesforce Classic. When Feed Tracking is enabled for Reports and Dashboards, click while , viewing a report or dashboard to open the feed. Then, mention coworkers, post questio and make observations about your Salesforce data directly from a report or dashboard. If you’ve been wondering who liked your post in Lightning Experience, wonder no more! We present the People Who Like This Postcard. This feature is available in Lightning Experience. Click the link to the right of to open the People Who Like This Postcard. You can see exactly who liked a post and, if you like, jump to their profile. 1.While adding account team members in lightning its showing one extra field i.e ‘Contact Access’ . Could you please explain it? I am unable to enable Accounts Team and Sales Team in lightening Could you please help me out on this? I am unable to enable Accounts team and Sales Team in lightening. Could you please help me out on this?